Jayakrishnan is an experienced Electrical engineer who has been involved in the design of iconic projects in UAE, Oman, Saudi Arabia, Sudan and India. 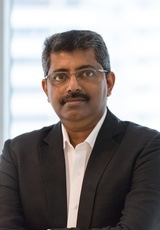 As head of electrical engineering, he has successfully led several large projects including the Hyatt Regency Dubai Creek Heights in Dubai Health Care City, the LEED Gold certified Hilton Garden Inn in Al Barsha, Dubai, the Hilton Double Tree in Riyadh, KSA and the Mayasem Gardens Residential Development in Jeddah, KSA. His work involves management of other disciplines and sub consultants as well as being the point of contact for clients. He has participated in landmark projects such as Capital Gate Tower Abu Dhabi, Deira Islands Mall Dubai, Deerfields Town Square Mall Abu Dhabi and Oberoi Sky City in Mumbai.